Early October on the coast was a mix of gorgeous sunny days and drenching downpours! 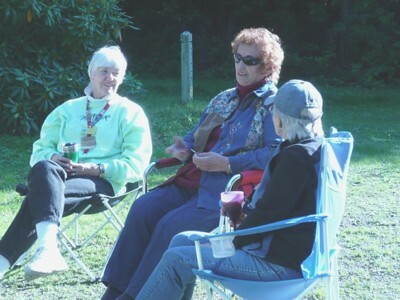 Most joined lawn chair circles to chat or walked resort trails — and when weather changed, turned to visiting in Treks and at clubhouse activities. 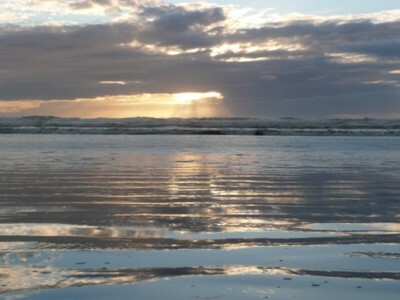 A short drive away was a great stretch of sandy beach, a performance kite shop, a few upscale seaside stores  and the Quinault Beach Casino. 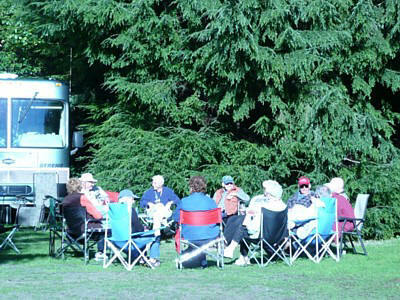 Our campsites were in two loops amid lovely hemlock & fir at this fine RV Resort. 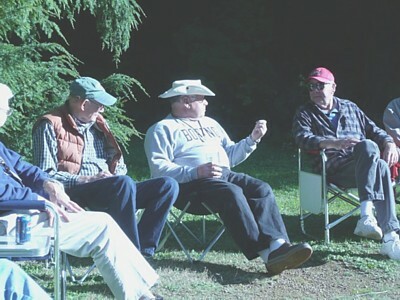 The club house facility was excellent but a bit of a walk for our evening activities when it rainedbut Clarks, Browns & Beers happily hit the road in any weather. Most carpooled! 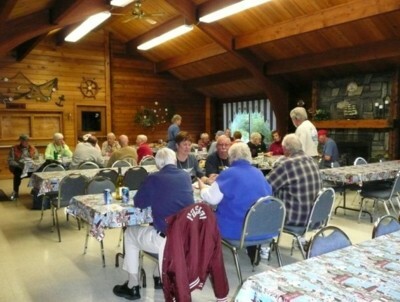 Lee & Judys rally opener was an appetizer social at the clubhouse. 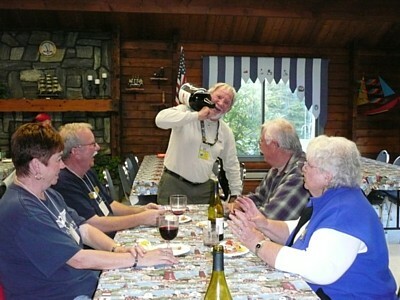 The room was inviting & comfortable and there was an abundance of good munchies — a fine setting to chat and meet fun-loving rally guests, the Hyndmans, from Lady Smith, BC on a quest to find a 1998, 99 or 2000 Trek, and Frank Kummerfeldt & Lorraine Gabel who own a 2000 Trek and live at the air park (pilots of course) in Independence, Oregon & travel south in winter. 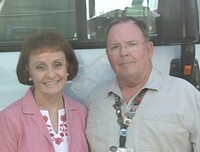 Conversation turned to camping at Quartzsite, AZ  maybe attending SWTFCs rally. 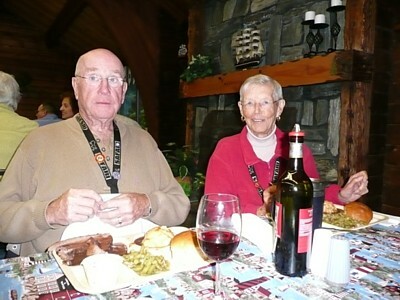 Jeanette provided the clubs photo album dating back to the Okanogan Wine Trek for all to enjoy. Frank & Lorraine joined our club that evening! Signup & price for generous clubhouse breakfasts and a special evening meal on Saturday was brought to our attention. For this first nights dinner, several couples already had reservations for the popular, Friday seafood buffet at Emilys, at the casino, so early calls were made to include another five couples. 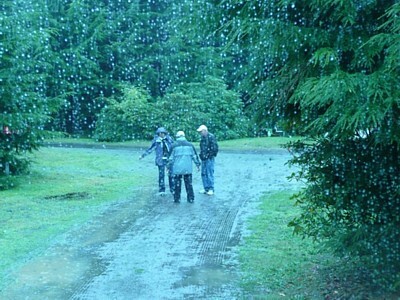 Upon arrival it was soon obvious all knew each other!!  so the wait staff nicely seated us all at two tables in a party area near the buffet. Glasses & plates were soon full and between sips & forkfuls, conversation was lively! 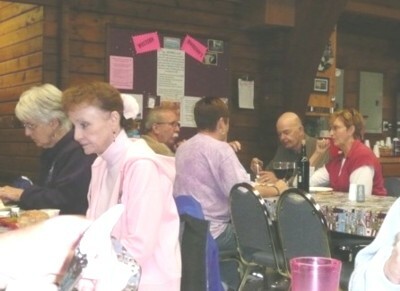 Saturday, found us donning rain gear and avoiding puddles, but enjoyed each others company at the clubhouse  enjoying a fine Lighthouse Galley bacon, scrambled egg & pancake breakfast. Then till 4 pm it was a do your own thing kind of day. When all gathered again, President Ed held a short business meeting following the same agenda as the Sept. meeting in Salem. Additional comment was sought on a couple topics of unfinished business and the list of candidates for the open offices was approved as presented with the vote scheduled for Oct. 18-25 on-line. Ed will chair the clubs Prize Booth effort at springs FMCA NW rally in Albany and was pleased with the volunteer signup response. 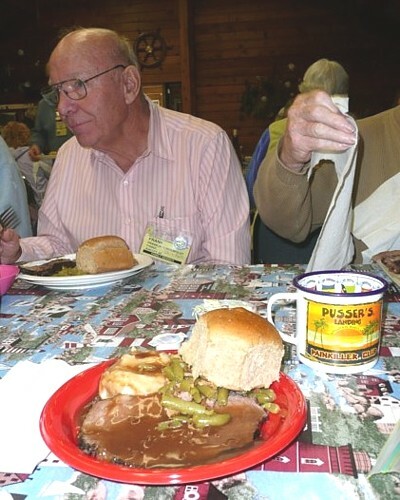 Western Horizon provided an outstanding roast beef dinner which they did just because of our groups presence. Weekend meal service normally ends Sept. 30. 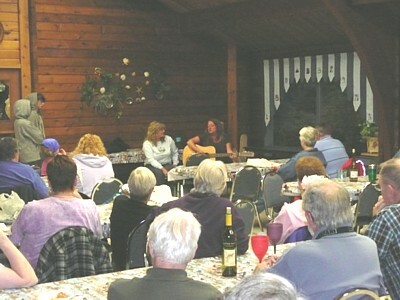 They also provided entertainment performed by two sisters (Kit-Kat) who played guitar and harmonized, giving us a little bit of country and a little bit of rock n roll! It was humor and music typical for a nightly summer campfire — fun and relaxing. Sunday morning most everyone gathered for a breakfast of flakey biscuits with meaty sausage gravy. Eight couples headed out early Sunday and Ed & Jeanette hit the road after lunch seemingly taking the rain with them as the squall continued south. Sunshine returned for Browns & Keelers who stayed on another fine day.